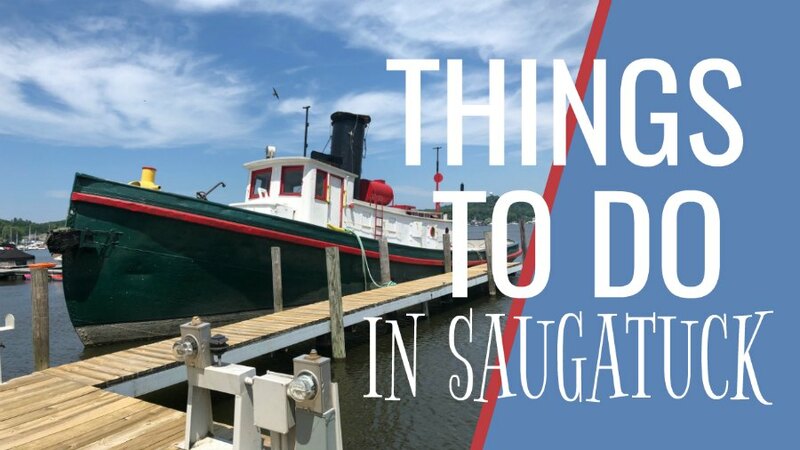 The ULTIMATE SOURCE of 2020 March Michigan events and things to do for families, couple and friends! 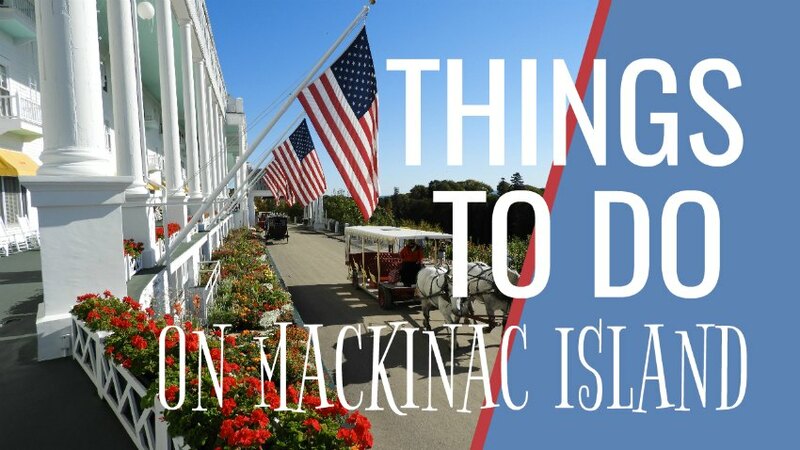 Grab our Boredom Zapping Ideas for fun in Michigan! 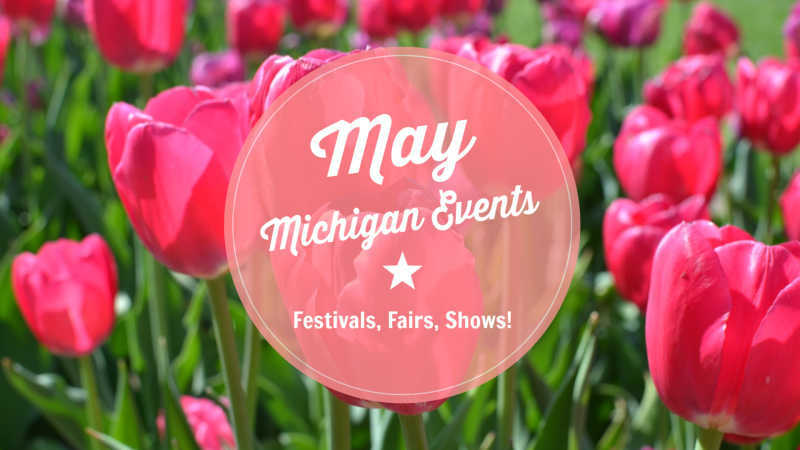 Plan your March Michigan trip or vacation around our inspiring festivals and events! OH man, we are headed toward spring!! Hopefully it will start to warm up a bit so we get out more to explore. We've had one heck of a Michigan winter this year- with the polar vortex and so much snow and ice. On the plus side, Michigan photographers have captured some stunning images on Instagram! 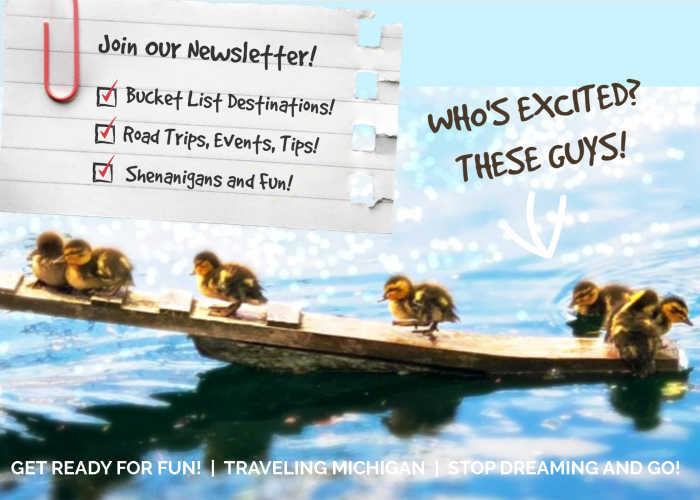 We hope you enjoy our March Michigan events and fun things to do! 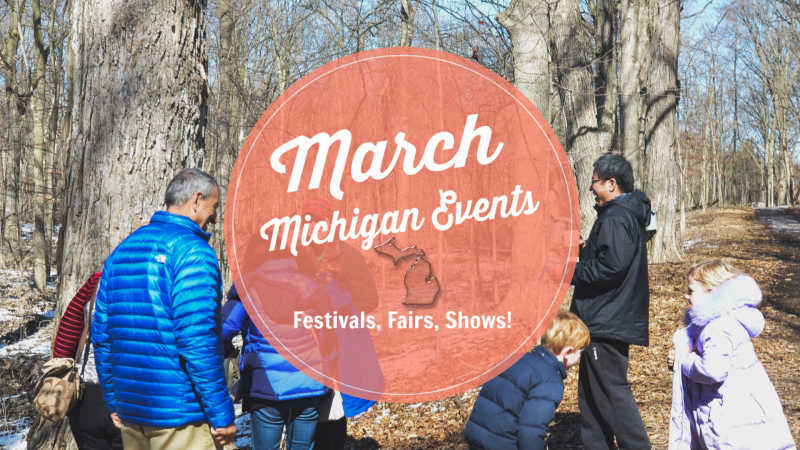 There are so many March Michigan events to see, do and explore!! No way you will be bored! 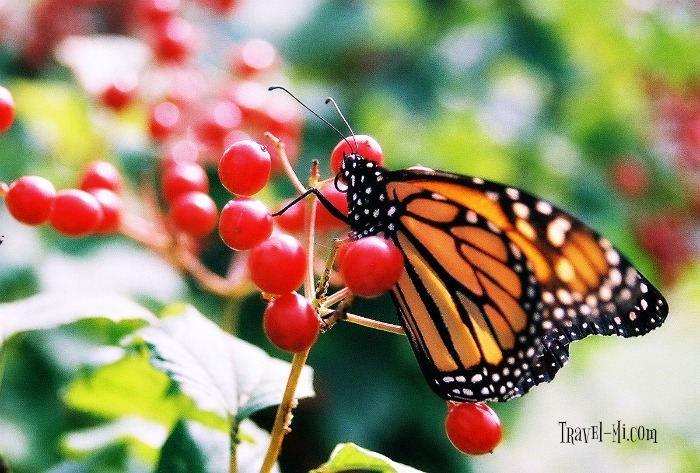 Butterflies Are Blooming, Frederik Meijer Gardens and Sculpture Park, 1000 East Beltline NE, Grand Rapids, MI-Date TBD, Be wowed by 7000 tropical Butterflies of 50 different species! We love to the bridges over the small streams and the cactus exhibits! Be sure to grab lunch in their cafe, it's actually great food! Butterflies In Bloom, Dow Gardens Midland, MI, 1809 Eastman Ave, Midland, MI-Date TBD, Enjoy colorful butterflies from around the world as they emerge from their chrysalis and fly around the tropically environment. Tip for photographers (trust me, I've been here several times): It's best to call ahead to see if a school group is planned the day you wish to visit-just sayin'. Dress accordingly, it's very warm inside the butterfly house-I usually wear a tank top. Kalamazoo Art Hop, Date TBD, 5-9 p.m. FREE! Art is located in businesses throughout downtown Kalamazoo! Annual Women's Lifestyle Expo, Kalamazoo Exp Center, Date TBD. The Detroit Zoo-8450 W. 10 Mile Road, Royal Oak, MI The Wildlife Interpretive Gallery has hundreds of butterflies! The Zoo purchases about 250 butterfly pupae (chrysalises) each week for you to enjoy! The habitat is open year-round and is free with Zoo admission. Don't miss their behind-the-scenes experience called Breakfast with the Butterflies which gives you a great chance to learn more about butterflies. The Journey of Maple Syrup, Outdoor Adventure Center, 1801 Atwater Street, Detroit, MI - Date TBD, 02:00 PM - 03:30 PM. Learn how maple syrup is made! Discover the whole process, from sap collection to the final step of bottling. Try rolling up maple taffy as they boil down maple syrup and pour it over ice, creating a hardball candy to enjoy. March Mannequins, Downtown St. Joseph, Date TBD. 7-8:30 p.m., Free! Check out the downtown store window fronts as the locals have turned into mannequins!! Suds and Snow, 4050 Hammond Rd E Traverse City, MI,Date TBD, Time: 1:00 PM to 6:00 PM -Numerous vendors posting 100+ brews wine and cider. Includes half mile hike through backwoods of Timber Ridge Resort for live music and food vendors. Autorama-Detroit, Cobo Center. Date TBD. Check out sweet rides, vendors and eats! We love this show and will be there again this year! It's one of our favorite March Michigan Events! Annual Midwest Rad Fest, The Epic Center, Kalamazoo, MI Date TBD The festival is a juried event at the Epic Center in Kalamazoo, MI, featuring the best in modern, post-modern, and contemporary dance from all over the country. Home and Garden Expo, Kalamazoo Expo Center, Date TBD. Maple Syrup Open House, Kellogg Forest, Augusta, March 9, 2019, 12-5 p.m. Annual Maple Sugar Festival, Kalamazoo Nature Center, Kalamazoo, Date TBD. Toughest Monster Trucks in Saginaw, Dow Event Center, Date TBD Cheer on your favorite Monster Truck! Brew-Ski Festival, Boyne Highlands in Harbor Springs, Date TBD. Get your VIP tickets early! Southern Michigan Winter Beer Festival, Date TBD, Time:12 p.m. to 5 p.m. Place: Jackson County Fairgrounds in the American 1 Event Center 200 W Ganson Street, Jackson, MI 49201, Advanced tickets are cheaper! Delicious brews and food! Irish Festival, Clare, MI, Date TBD. The whole city of Clare turns green for this event! 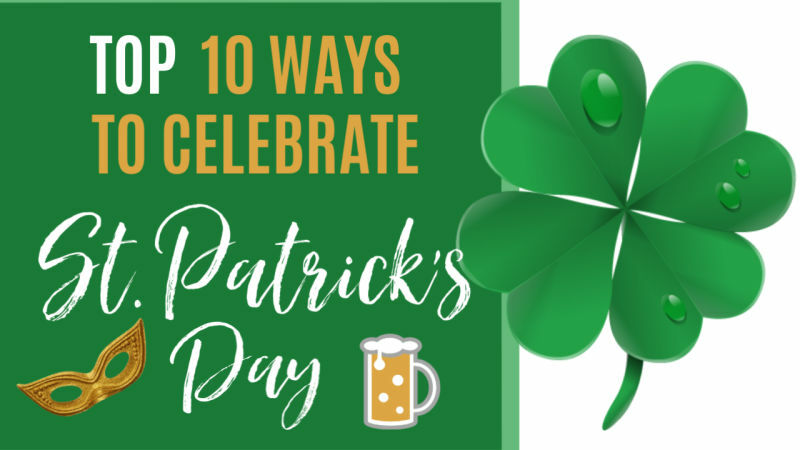 Irish traditions are celebrated in the forms of a parade, bed race, Irish Recipe contest, Irish Road Race, craft show, dancing and even a Leprechaun Contest! More Info! St. Patrick Parade Corktown Races, Michigan Central Station, Detroit, MI Date TBD has become one of the largest 5 km races in Michigan. The event has seen steady growth to over 8000 participants. In addition to attracting more people to the parade, the race is a vehicle for raising funds for the Saint Patrick's Senior Center. St. Patrick’s Day Celebration, Grand Ledge, Date TBD This annual celebration is set in historic downtown Grand Ledge and consists of an Irish Stew cook-off, live music, Irish dance performances and a grand parade. Grass Lake Spring Expo, Grass Lake, MI, Date TBD. The Annual Grass Lake Regional Chamber of Commerce Spring Expo is located in the High School and is open to vendors and the public. Learn what’s new for the coming year in the business world! See approx. 100 business vendors and non-profits. Be inspired! 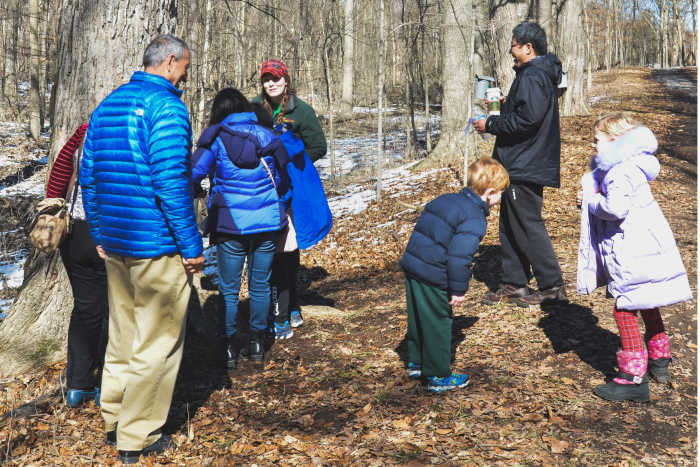 Maple Syrup Day, Chippewa Nature Center, 400 S. Badour Rd, Midland, MI, Date TBD, 10 a.m.-4:00 p.m. Crafts and hands-on activities in the Visitor Center will engage children of all ages as they discover the magic of maple syrup season. See the process of making maple syrup! Take a wagon ride to the Sugarhouse where they boil sap into pure maple syrup. Watch a 1870's sap boiling demonstration and take a guided tour of the sugarbush! Harwood Gold Maple Syrup Open House, Date TBD, 61 Parsons Rd, Charlevoix, MI Please join Harwood Gold at the farm for their annual syrup season open house! Tour the farm to learn about their maple syrup making process, and enjoy maple treats made with their products. Spring Craft Show, Kalamazoo Expo Center, Free, Date TBD, 9 a.m.-3:00 p.m.
Top 10 Ways to Celebrate St. Patrick's Day in Michigan!! Let's Celebrate Michigan St. Patrick's Day! To rightfully celebrate St. Patrick's Day with gusto, you need tasty cabbage, Irish dancing, green beer, hockey and a cooking class! READ ON! 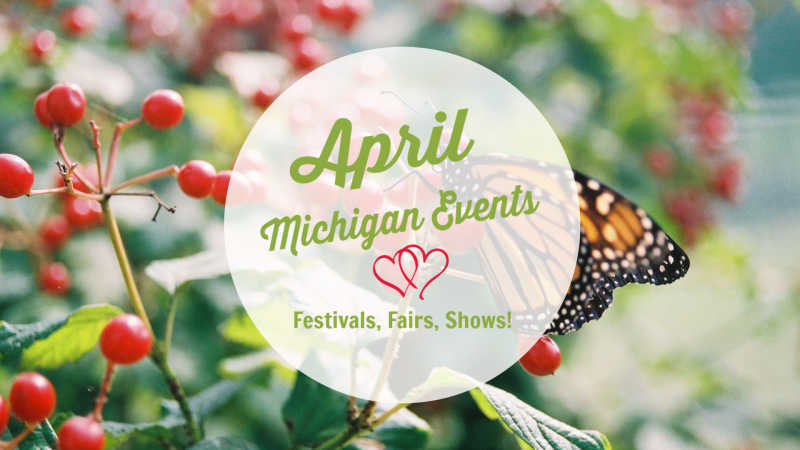 We hope you enjoyed these March Michigan events! We would love it if you shared some of your favorite March Michigan buster ideas below! 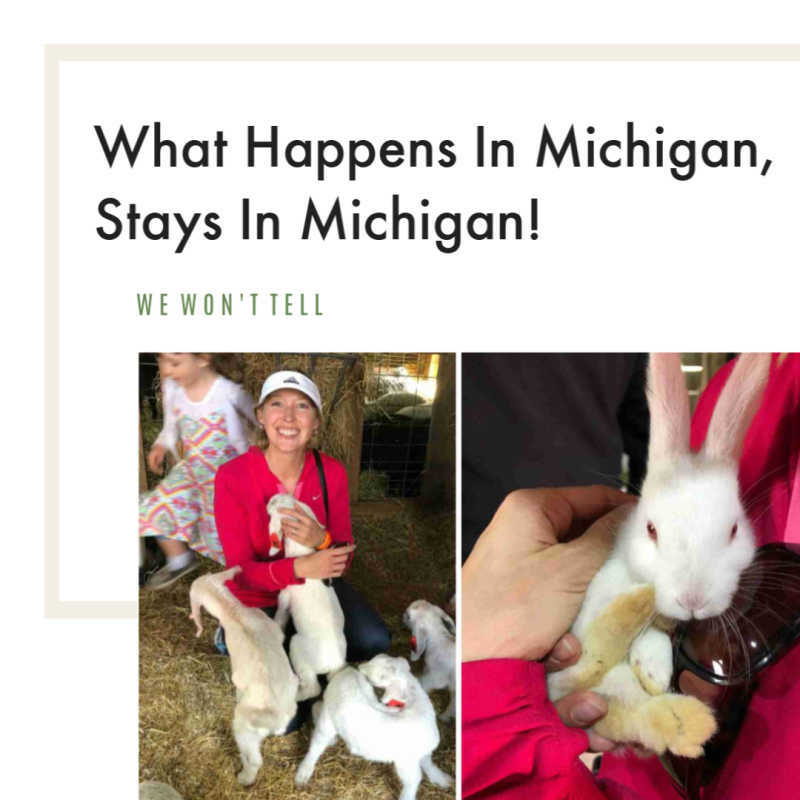 Don't miss a moment of March Michigan fun! Join our newsletter to have events and fun delivered directly to your inbox!